If you like to stay updated on a social network, then please Like our page Tapp PTSA!! Keep informed! It was so good to see so many parents this evening! I know several of you were inquire about getting another size for your student such as a Youth Medium or a Youth Small in a Tye-Die shirt. Please send in payment as well as a note with the item, your student name, Homeroom and your contact information so we can get it ordered. 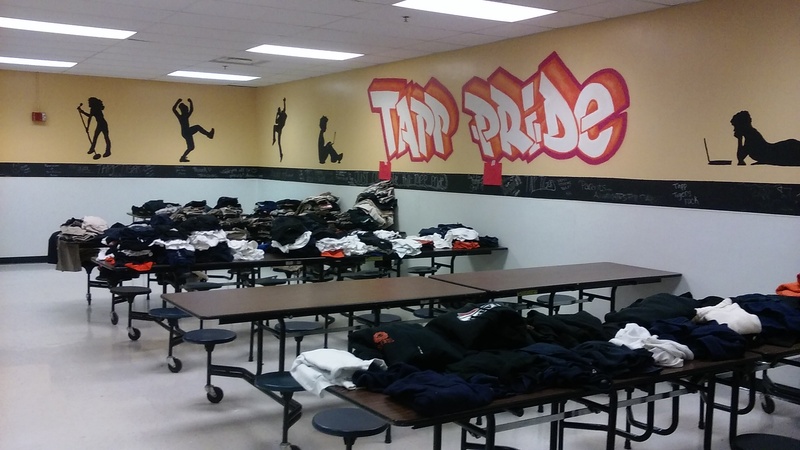 For those that we ran our of your size, Please write a note with the item that you would like, Color if needed, size and the total you have enclosed, student’s name and Homeroom as well as your contact information. 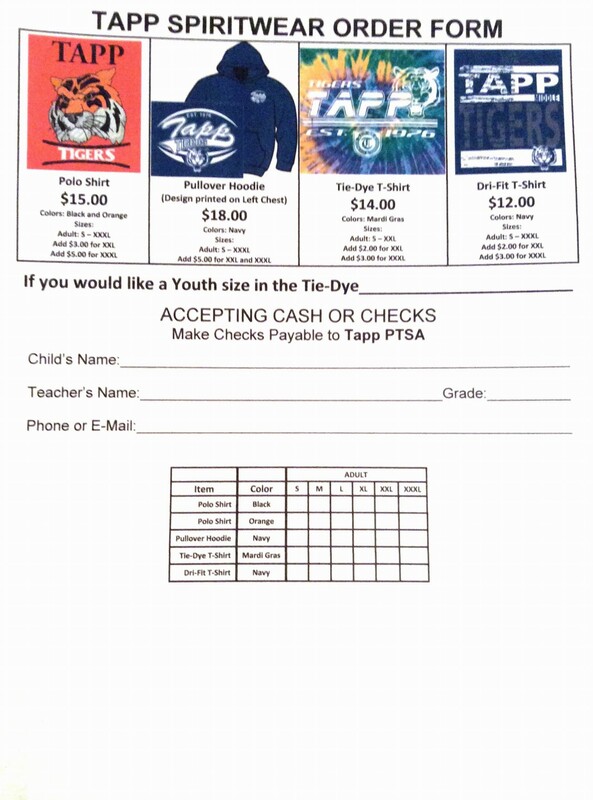 Students: Please place your order in the Orange PTSA box outside the lunch room. I’m putting the orders in Tuesday morning, so that they will be available by August 18th. Facts about PTSA……Did you know???? 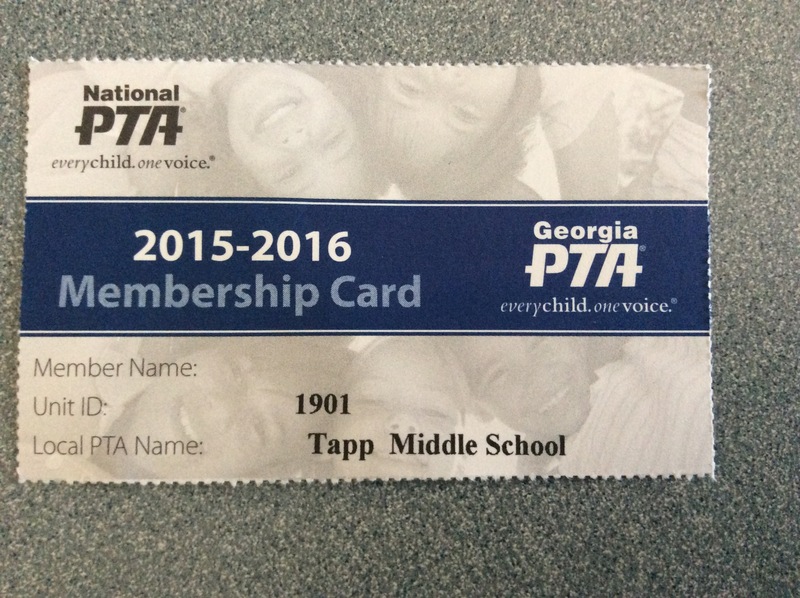 Please sign your family up for PTSA and checkout the many savings your family will enjoy!! Incoming sixth grade Orientation will begin at 3pm. Please arrive and report to the Theater to receive a brief overview of of a typical day at school. Afterward the students will be able to find their homeroom assignment, meet their homeroom teacher and locate their bus assignment. Rising 7 & 8th Graders will arrive at 4pm, locate their homeroom assignment, meet their teacher and locate their bus assignment. If you are able to help out in any way that evening, please click the following link…..Volunteer Sign Up! Would you like to meet our new principal Mrs Tiffany Honore’ before school starts. Well come to Tapp Monday, July 13th from 4 – 6pm into the Theater to say hello and get to know her!